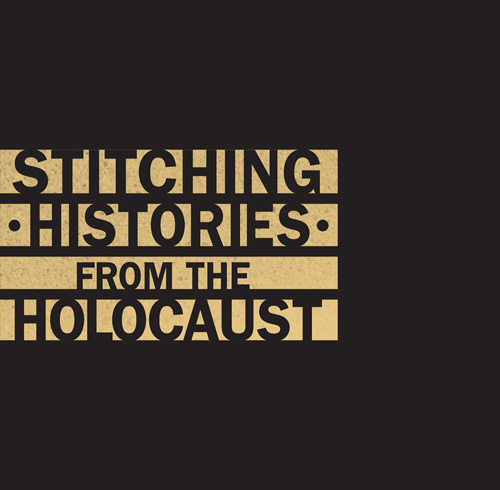 At its core, Stitching Histories From the Holocaust tells the story of Hedwig Strnad and her husband Paul through the letters to their Milwaukee cousin and the dress designs they sent in the hopes of getting visas. Hedy and Paul were ultimately killed in the Holocaust, but her dress designs survived. The centerpiece of this exhibit is 8 dresses lovingly created by the Milwaukee Repertory Theater Costume Shop. These dresses provide visitors with a tangible connection to the loss of talent in the Holocaust. The Oelsner family ends up fleeing to Japanese-occupied Shanghai in 1939, the only place that they could go without a visa. Their daughter Edie was born there and this collection reflects the family’s journey from Nazi Germany, to war-torn Shanghai, and ultimately to the United States. While Mary and George Stern escaped to the United States in 1938, Mary’s mother Sara Spira chose to stay in Germany. Mary and George settled in Racine, Wisconsin and maintained communication with their family trapped in Europe. Sara was deported from Germany to Poland, where she continued to send postcards updating her children on the hardships she faced from the Gorlice Ghetto. Sara perished in the Holocaust. Each of these stories pushes visitors to examine interconnected family relationships and the challenges around immigration through the Holocaust. Enjoy Milwaukee’s own chanteuse and accordionist, Robin Pluer, composer and guitarist Chris Hanson and MSO violinist Glen Ashe for an evening of poignant music reminiscent of the WWII period including resistance songs and ballads. Jewish Museum Milwaukee is open until 7:00 pm the Third Thursday of each month. In April we celebrate our collaboration with the Milwaukee Repertory Theater’s Costume Shop with a 5:30 pm presentation from Alex Tecoma, Senior Draper, and Jessica Jaeger, First Hand. Specialists in twentieth-century European history, Ben Nestor and Mike Pulido, will discuss how archival materials helped them reconstruct the journey of Edie (Oelsner) Shafer, and the perils her family faced before ultimately making it to the United States. Libby Garland tells the untold stories of the Jewish migrants and smugglers involved in that underworld, showing how such stories contributed to growing national anxieties about illegal immigration. Sponsored by UWM’s Sam and Helen Stahl Center for Jewish Studies, UW-Milwaukee History Department, and UW-Milwaukee Cultures & Communities Department. Justin Gordon will discuss his research and publication Holocaust Postal History: Harrowing Journeys Revealed through the Letters and Cards of the Victims. The lines of the correspondence he studied, are seemingly ordinary—until you realize that they were written in the darkest days of the Holocaust under tyrannical censorship. Presented in partnership with Nathan and Esther Pelz Holocaust Education Resource Center. Hear how the Simon sisters retraced the steps of their grandmother who was murdered by the Nazis, and their father who was inspired by his tragic family history to become a civil rights activist, including marching with Dr. Martin Luther King Jr. in Selma. Presented in partnership with Nathan and Esther Pelz Holocaust Education Resource Center. Join the Fine Arts Quartet for a special evening performance featuring two of the string quartet literature’s greatest masterpieces: Wolfgang Amadeus Mozart’s String Quartet in C Major, K.465, nicknamed “Dissonant,” and Felix Mendelssohn’s String Quartet in E Flat Major, Op.12. Sponsored by Marianne and Sheldon Lubar. Jewish Museum Milwaukee is open until 7:00 pm the Third Thursday of each month. At 5:30 pm, Dara Larson will discuss how her handmade paper wigs helped bring Hedy’s designs to life. Explore how fashion and design reveal a person’s identity and how designers Lynne Dixon-Speller, Miranda Levy and Linda Marcus express themselves and transform clients with their own personal fashion identities. Jewish Museum Milwaukee is open until 7:00 pm the Third Thursday of each month. At 5:30 pm, Margaret Hasek-Guy will explain the techniques of transforming illustrated dress patterns into actual fabric yardage through the technique of screen-printing. Darryl D. Morin, the immediate past National League of United Latin American Citizen’s (LULAC) Mid-West Vice President and current State Secretary, will address contemporary immigration issues, legislation and policy affecting the Latino community, and the local and global implications. Sponsored by Jason Steigman and Dori Frankel Steigman. From 1938 to 1941, at least 17,000 German and Austrian Jewish refugees and more than 2,000 Polish Jews fled from the Nazi terror to Shanghai, China. Learn how the Jewish refugee community in Shanghai thrived despite the harshness of life in the exile and during the war. Sponsored by Anneliese and Max Dickman. Explore the history of Sara Spira and Mary and George Stern with Amos Bitzan, Assistant Professor of History at UW-Madison, who took his students on a journey of discovery to uncover the details of their experience through treasured postcards and letters.